If you live in an area where the winters are especially cold and dry, investing in a humidifier for your home is arguably one of the smartest moves you can make for your health and your indoor air quality. They’re a great tool to have to help you fight everything from buildup of static around the house to the onset of common cold-weather ailments and airborne viruses. They even help keep your skin from drying out when you crank the heat on. Like any appliance — particularly those which use water — this type of unit will require some basic maintenance and regular disinfection in order to perform at its best. 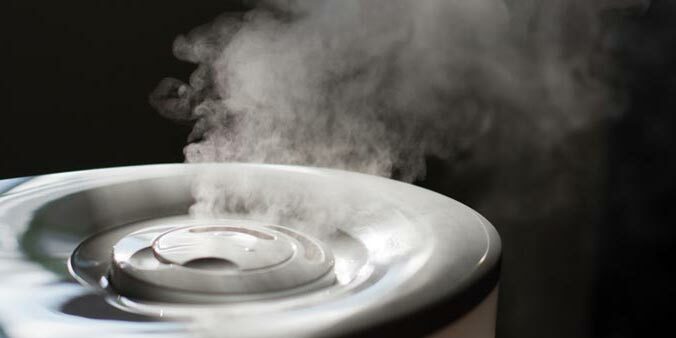 Fortunately, cleaning your humidifier is a quick and simple process, and only gets easier with regular upkeep. 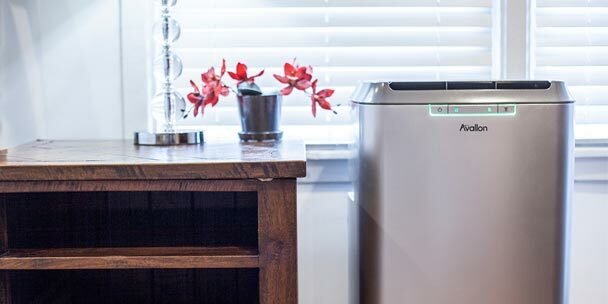 Below we have created a handy guide to show you how to clean your humidifier, what you will need to do so and why you should disinfect your unit often. Let’s take a quick moment to recap why humidifiers are beneficial to have around your home, especially during the cold winter months. Those who live in more moderate climates don’t always have to worry about excessively dry seasons, but if you’re further inland, there’s a pretty good chance that extreme temperatures can introduce certain challenges in the home. For starters, static electricity is most prevalent at times when there is little moisture in the air. This can be a season-long hassle for just about anyone who wears clothes, has hair, or makes use of anything electronic or metal. One of the best ways to put a stop to the cling, the frizz and the shocks is to add additional moisture to your home’s air. Maintaining a healthy level of relative humidity in your home helps break up the stray electrons which cause static-related phenomena, likely making your morning prep process a whole lot easier. They can provide relief for those who suffer from dry, cracking skin or chapped lips. Humidifiers are a good method of improving the air quality in your home, making it easier for those with breathing difficulty such asthma sufferers. Greater levels of humidity in the air can make your home naturally feel several degrees warmer, reducing the need for using a heater (which is generally more expensive to use) in order to maintain comfort. 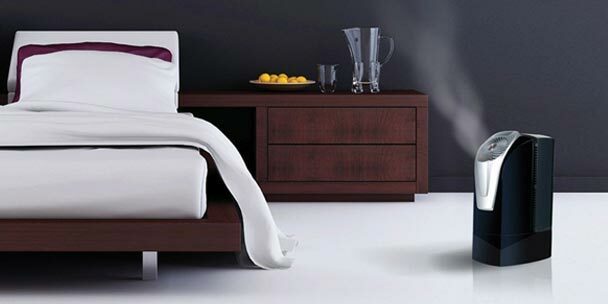 Perhaps the greatest benefit of humidifiers is how the moist air can have a positive impact on your overall health. Many common winter illnesses are perpetuated by too much dryness in the home, which makes it difficult for the body’s air passages to properly fend off colds, sore throats and other ailments. Simply heating the air actually makes it more dry, and often times dust and allergens from your ventilation system only serve to exacerbate the issue. Running a humidifier is a proven way to help protect yourself from these wintery challenges. They’re easy to use, typically more affordable than continuously running central heating and they require only basic upkeep in order to function properly. If you spend the extra few dollars and get a trustworthy name brand unit, you can bet on long-term service with the right kind of care. 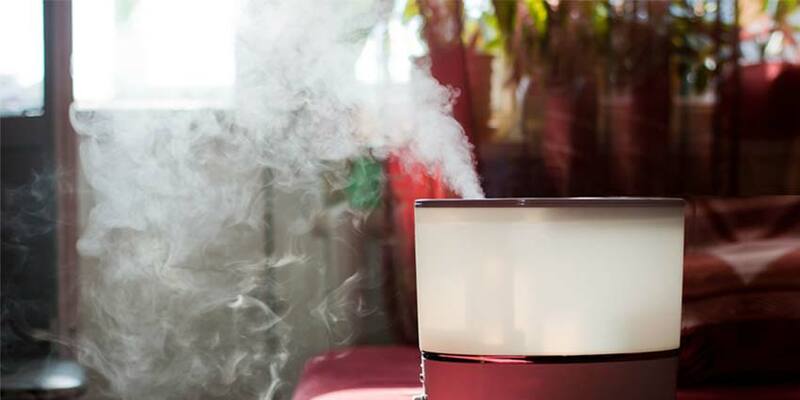 Keeping your humidifier clean is important for a couple of reasons. First off, it’s a necessary task to ensure that your unit works properly. Like any appliance, if you don’t properly care for it, then it won’t last as long as it could and you’re not getting the most for the money you spent. The most important reason why you should keep your humidifier clean, however, is because if you don’t then you risk spreading potentially harmful bacteria and mold into the air. Without proper disinfection and cleaning, the water in your humidifier will just sit there and stagnate. 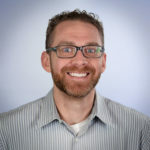 If you turn your humidifier on without giving it a thorough cleaning, then you risk traces of that bad water being released into the air, and ultimately, being breathed in by you and your family. Not only does this contaminate your indoor air quality, but breathing this bacteria-laced vapor may lead to a whole host of negative health symptoms. These may include asthma attacks, severe coughs, lung inflammation, high-grade fevers, loss of appetite, anxiety, and shortness of breath. In the most extreme cases, which can be brought on by long-term exposure to this contaminated air, you may start to develop respiratory infections, lung scarring or even lung disease. Luckily, all of this can be avoided by just taking a couple of minutes to clean your humidifier before using it. Each type of humidifier is constructed a little differently, but most include a water tank and operating base. If yours happens to contain additional pieces, don’t worry, just about every plastic component can be cleaned in the same fashion. Just steer clear of electronics and control panels to be safe. It’s also important that you heed any warnings or instructions provided by the humidifier’s manufacturer. Always take a moment to first consult your owner’s manual or other documentation before disassembling or cleaning any appliance. Don’t forget to wear gloves and goggles when handling bleach or other harsh chemicals. Below are step-by-step instructions on how to clean your humidifier. By following these five simple steps, you will be able to get the most from your humidifier and improve your indoor air quality. 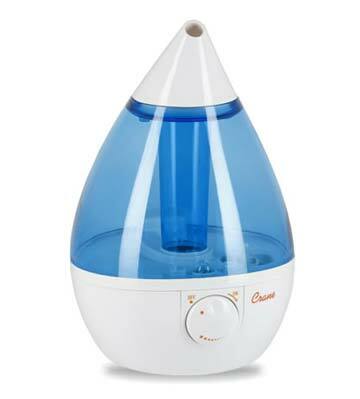 These cleaning steps are especially important if you are using a cool mist humidifier. With your humidifier unplugged from the wall, you must first disassemble it completely. Remove and empty out the water tank as part of this process. Then depending on your particular model, unlatch or unlock any other removable parts from the base and set everything apart for easy recognition. If your particular unit includes an air filter, be sure to remove it as well. Filters can be cleaned using cool running water and then left to air dry. Pour enough white vinegar into the base that it fills all of the areas which water regularly comes into contact with, and place any smaller washable parts into a large container of vinegar to soak. Let everything sit for at least 30 minutes to breakdown the buildup and then follow up by using your soft brush to clear away any stuck-on residue. Some humidifiers come equipped for this very purpose, but if not, any soft-bristled brush should do the trick. Smaller brushes can be ideal for detailed cleaning of hard-to-reach areas. Disinfecting your water tank also requires about a half-hour of wait time, so you might want to perform this alongside the second step. Using a mixture of 1 teaspoon of bleach to 1 gallon of water, fill the tank at least halfway and swirl the solution around so that the entire inside is coated. You can also substitute 3% hydrogen peroxide for bleach if you prefer. Use water from the tap to thoroughly rinse base, tank and all other components, shaking everything well to dislodge any trapped moisture. It may take several passes before the smells of your cleansers begin to dissipate, but rest assured that it will happen. Lay all parts out to air dry atop your fresh towels; this will also help to clear away any residual aromas. Once all parts have dried completely, you’re ready to reassemble and resume use of your appliance. Don’t forget to replace the unit’s air filter where applicable. 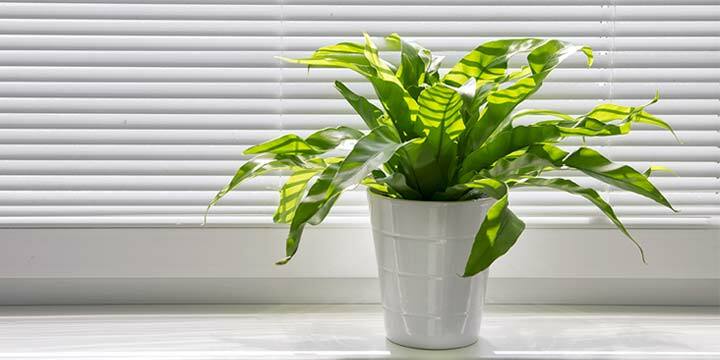 Fill your tank with clean mineral-free water, plug it in and start enjoying the effects of fresh, soothing humidity in your home once again. For best results, there are a few additional steps you can take to ensure you get the most from your humidifier. It’s recommended that you perform the deep-cleaning steps listed above at least once every week when using your humidifier on a regular basis. This will ensure that the air you and your family are breathing is not compromised by mold spores or bacteria. Before you turn your humidifier on for the day, make sure to empty and rinse out any standing water that is left in there. This eliminates any sort of bacteria that may have started to grow inside the unit. You don’t have to disinfect it daily, even though it wouldn’t hurt, but it is wise to add fresh water. Distilled water is the recommended water to use with humidifiers. This is because tap water has minerals added to it, and these minerals are also dispersed into the air along with the water vapor. This may lead to a small amount of white dust covering all the surfaces of the room the humidifier is being used in. Additionally, these minerals also aid bacteria growth due to the deposits that are difficult to clean. When you’re done using your humidifier for the season, it’s incredibly important to give it a deep clean and let it dry before you store it away. If there’s any damp areas within the appliance when you store it away, you will likely notice a bunch of mold when you pull it out to use again. To keep your humidifier working as it should for many years to come, it’s important to keep it clean and follow a regular maintenance routine. The last thing you want is to disperse potentially harmful mold or bacteria into the air. By following the above cleaning guidelines, as well as changing out filters and following other instructions listed by the manufacturer, you’ll be sure to enjoy a comfortable and healthy winter at home all season long. If using 3% hydrogen peroxide instead of bleach, do you still use 1t to a gallon of water? I want to believe it, but it seems awfully dilute compared to other recommended applications of H2O2 I’ve seen. This is the same question that I would like answered. Do you still have to dilute when using 3% peroxide? Or is it fill the humidifier with 3% peroxide to disinfect? Getting the peroxide to the same dilution as the bleach would essentially make it ineffective. my old Hankscraft humidifier, but can’t find another. Is there any way to clean the filter? What can u use to clean humidifier with besides vinegar? WalMart machines are the same as others except they don’t have as many teeth! IFirst time, I do have a couple spots of mold inside the tank. HOw do I clean this? Do I still just use the bleach method? Is that strong enough. Should I toss it? I can’t reach part of the water basin with any of the brushes I have. What else. An I do…we have horrible hard water and it the humidifier has yellow slime on it and I can only reach half. I am going to see if vinegar will work…these things should be blue to come apart.